Any gamer worth a damn these days cares about their connection to the internet. It's the lifeblood to information and in the case of co-op gamers, it's how we play with friends. Our home networks have gotten increasingly complicated and crowded thanks to the addition of smartphones, tablets, and the abundance of other devices that have decided they need to talk to the rest of the world. This all happens through a tiny little cable that goes into your house, but after it gets inside it needs to go to the brains of the operation, your router. Today we're looking at the D-Link DGL-5500, a router from a long line of "gaming routers" from D-Link. I'll admit, I've owned both the the D-Link DGL-4300 and the D-Link DGL-4500 before migrating to the DGL-5500 for my networking needs. 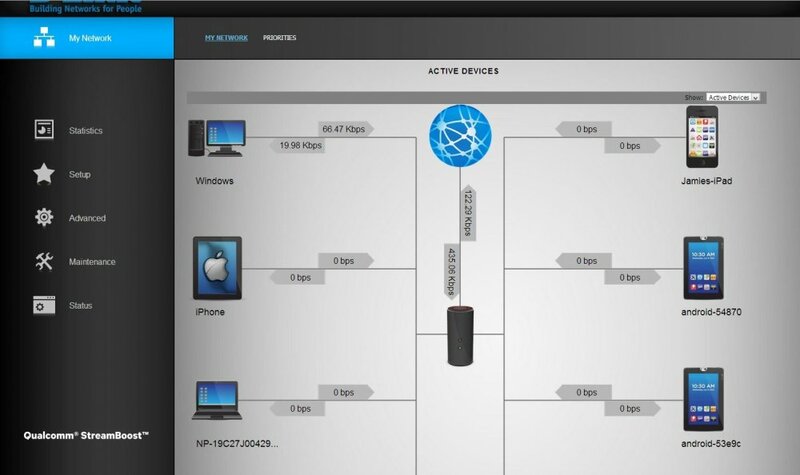 I'm what you might consider a heavy internet user - our home network has over 25 devices on it with computers, tablets, phones, servers, consoles, portable devices, DVRs, and even home automation devices. It's a busy network that does a lot of traffic so having a beefy router capable of prioritizing traffic is important for the gamer in me. I was surprised to find the router as a cylindrical device instead of the normal boxy device with antennas. While the shape makes it easy to simply sit on top a shelf, the lack of any external antennas made me worry. Lucky, those worries were unfounded. It's the last two items that have been so controversial for the router. 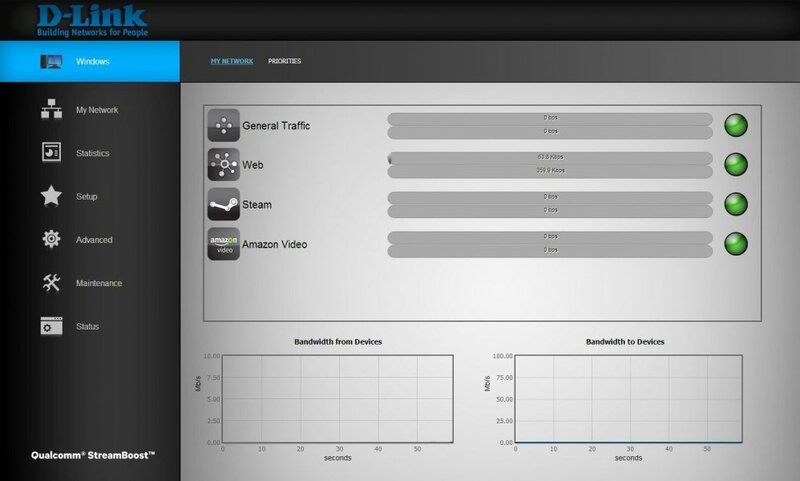 What it boils down to is this - D-Link will sample your traffic and send it back to a central server. It doesn't take the data itself, but rather a few network packets about the traffic and then use that to create profiles for further optimization. 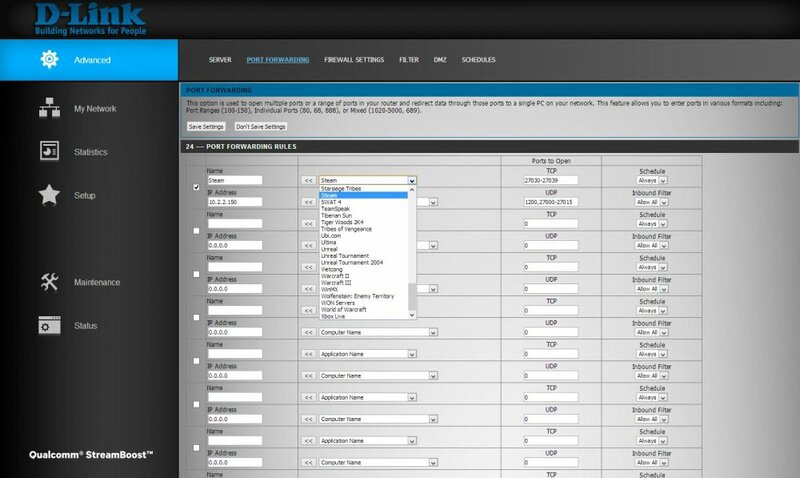 You can opt-in or out of this service, but the StreamBoost engine the DGL-5500 uses is one of it's main selling points over routers with similar features. I'd like to tell you that the feature works as advertised, but I think it's too early to see. I'd like to do some follow up testing once the new consoles release to see if the router updates its profiles with further support for those applications. That said, what comes "with" the router out of the box is fairly fully features and if you know anything about basic networking it's easy to set up port forwarding, static IPs, firewall profiles and more for your games. Having come from D-Links previous routers I actually found their interface almost too simple. A lot of the power user features I liked using before seemed to be buried, hidden or even unavailable. 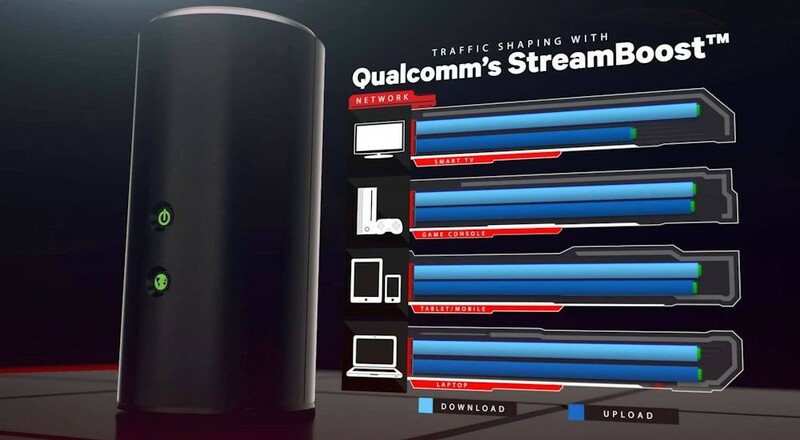 In reality D-Link has changed how we prioritize traffic, opting instead for a simple graphical system of ranking devices based on which one should "get" the bandwidth when your home internet bandwidth is strained. Basically if you're worried about someone's Netflix stream to your SmartTV screwing up your Xbox Live session of Halo 4 in the basement, you rank the basement Xbox 360 higher than your TV. The one feature I really like is the ability to see exactly what you network is doing at any given time. There's an overall network map which shows all devices with incoming and outgoing bandwidth usage which further lets you drill down into each device. At the device level the router logs information about specific applications and internet services like Twitter, YouTube, Skype, Steam and more. You're able to see which of these is eating up the most bandwidth and further prioritize and optimize your network. I can see it as a great option for troubleshooting issues in the future too. It's here you can actually see where the Cloud update stuff is able to be incredibly powerful. You can see specific information about your traffic like 1080p YouTube stream or Pandora Music stream. Basically you can see not only what device is eating up your bandwidth, but what application on that device is. Overall after a month of use with the the D-Link DGL-5500 it's been a solid performer. Wireless range is better than the 4300. Sadly I was unable to test the new AC Draft wireless as very few devices exist that support it. The same goes for the 5Ghz Wi-Fi channel. None of the current consoles support 5Ghz 802.11n connections via Wi-Fi, which should be better for streaming video and other content. I was able to use the connection with a laptop just fine (you actually will have two SSIDs for each network) but I was unable to strain the connection enough to really see a tangible difference - even when running an HD Netflix stream. Perhaps that speaks for the router's ability itself. In terms of same house gaming - I was able to get two Xbox 360 consoles onto Xbox Live with no problem and both listed NAT as either Moderate or Open. I streamed Netflix video to my tablet, downloaded a game via Steam and played Borderlands 2 on Xbox 360 all at the same time without a discernible hiccup. My wife was even browsing the web at the time and made no complaints about the speed. Despite the solid performance of the device, the router definitely feels a bit immature. I hit several quirks in my month of use, some of which were fixed via a firmware update. But there are some mind baffling interface decisions which buries common features under a series of menus. I feel like I've lost control over traffic prioritization too, rather than being able to fine tune my network for a type of traffic, I rely on prioritizing by device and then let the router auto tune based on traffic type. Several of these quirks exist. One of the router's strongest features is how it logs all traffic data by device, which is great. But some of this data is lost when the router restarts - and several of the common settings you will access and change require you to restart the router. It just seems so archaic. At an MSRP of $240 (though it can be found for $199 at Amazon) the DGL-5500 isn't a cheap addition to your home network. While the performance of the router out of the box is more than adequate for most, as a power user you may be frustrated by an immature interface. D-Link is committed to firmware updates based on feedback and the first update to the device was proof of that. The bottom line on the D-Link DGL-5500 is if you're looking to future proof your home network and get ready for "next-gen" this router will more than adequately fill your needs. 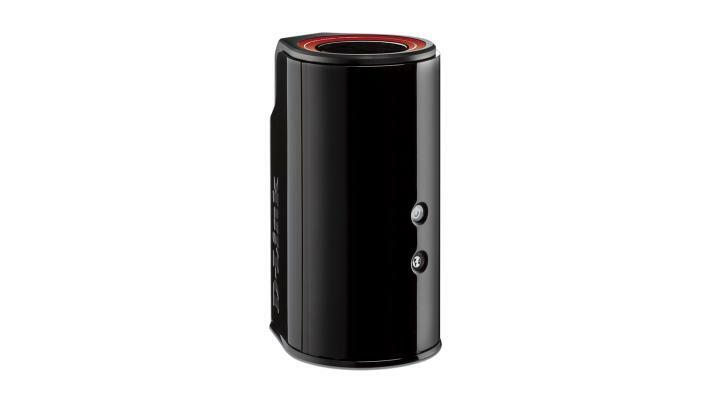 The D-Link DGL-5500 used in this review for evaluation purposes was provided by D-Link. We used the latest firmware update provided by the manufacturer as well.